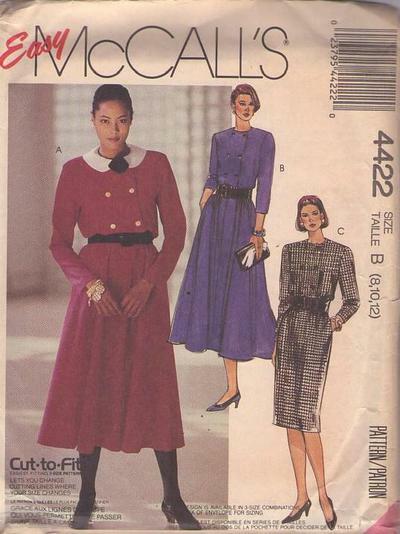 1989, 80s Career, Retro Office Clothing Patterns - MISSES' DRESSES: Dress in two lengths has shoulder pads, long sleeves, front buttoned double breasted bodice with partially elasticized waistline and side seam pockets. Dress A or B with or without collar has full skirt. Dress C has straight skirt.